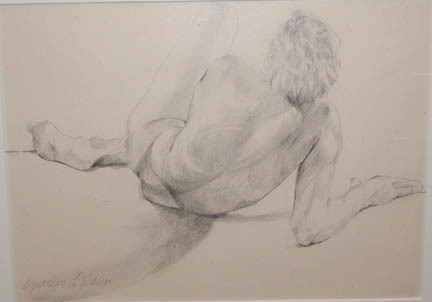 A nationally recognized painter known for her watercolors and figure drawings, Wilson has had 15 solo shows. Her work has been published in several books, including The Best of Watercolor by Rockport Publishing. Wilson, Cynthia, “Reclining Man - Back,” Westport Public Schools Digital Collections, accessed April 25, 2019, https://collections.westportps.org/items/show/578.